Join the Spring Creek Project, the OSU Center for the Humanities, and the Center for Small Farms & Community Food Systems for a screening of Look & See: A Portrait of Wendell Berry on Friday, February 23. The event will be held at OSU’s LaSells Stewart Center in the Construction & Engineering Hall. We’re pairing the film with a community seed exchange for anyone who would like to participate. The seed exchange will begin at 6:00 p.m. and the film will start at 7:00 p.m. The event is free and open to the public, but tickets will be required. Reserve your tickets on Eventbrite. 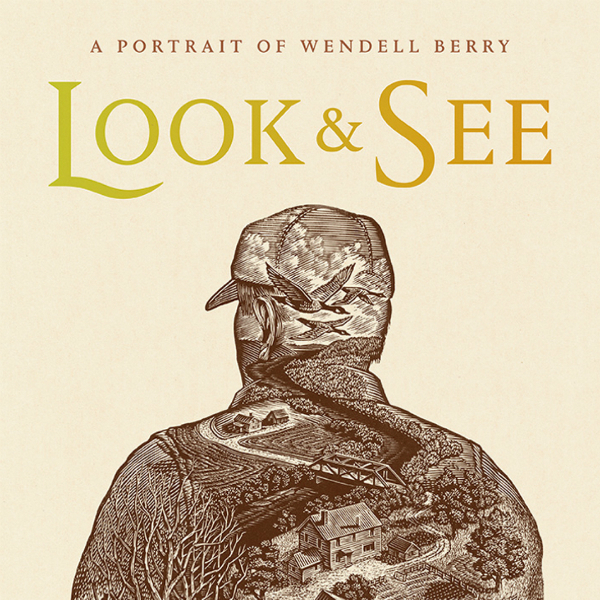 Look & See is a cinematic portrait of the changing landscapes and shifting values of rural America in the era of industrial agriculture, as seen through the eyes of writer, farmer, and activist Wendell Berry. You can view the trailer here. This award-winning documentary was filmed in and around the rolling hills of Henry County, Kentucky, where Berry has lived and farmed since the mid-1960s. His lifelong relationship with the land and community form the core of his prolific writings. Henry County, like many rural communities, has become a place of quiet ideological struggle. In the span of a generation, agrarian principles of simplicity, land stewardship, sustainable farming, local economies, and rootedness-to-place have been replaced by a capital-intensive model of industrial agriculture characterized by machine labor, chemical fertilizers, soil erosion, and debt. Watching this struggle unfold, Berry has become one of the most passionate and eloquent voices speaking in defense of agrarian life. Film runtime is approximately 90 minutes. Bring any open-pollinated seeds you’d like to share, whether home-saved or purchased seeds (make sure they’re relatively fresh, as many seed types are only viable for a couple of years). For each variety, also bring a notecard stating the variety name and any descriptive notes about the variety. If you have a limited quantity and would like to specify an amount participants can take, make note of that as well (e.g., “Please take up to 10 seeds per person”). We’ll have large tables set up for the swap. When you arrive, set out your seeds and accompanying notecards on a table, so that each is clearly labeled. You may wish to bring a small scoop or spoon to help divvy up seeds. 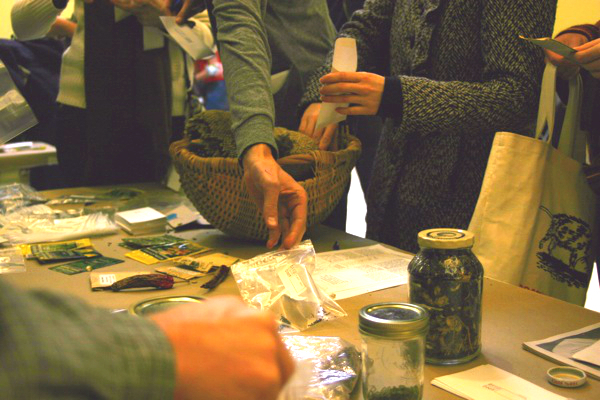 We invite you to bring along small jars, envelopes, or baggies for seeds you’ll be taking home. We’ll also have blank seed envelopes available. Even if you don’t have any seeds to bring to the swap, we invite you to participate. Oftentimes, some people at a seed swap will have bulk quantities to share. Chat with your community members and grab a few seeds here and there if there are plenty available. Note: If you’d like to attend the seed swap but not the film, a ticket will not be required. Please simply join us at 6:00 p.m. outside of the Construction & Engineering Hall of the LaSells Stewart Center. © 2019 Spring Creek Project, all rights reserved.